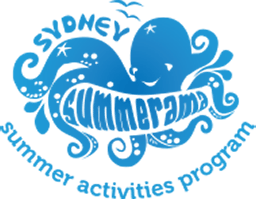 Established in 1989, we are a collaborative regional organisation that advances sustainable management of Sydney’s urban coastal and estuarine environment. We currently comprise 9 Member Councils who represent nearly 1.3 million Sydneysiders. Collectively we cover an area of approximately 800 square kilometres with a total coastline of almost 600 kilometres, encompassing the waterways of Broken Bay, Pittwater, Port Jackson, Port Hacking, Botany Bay, Middle and North Harbours, and the lower reaches of the Lane Cove, Georges and Cooks Rivers. Resilient coasts and estuaries. Engaged communities. Local leadership. Regional impact. To lead sustainable management of the coastal and estuarine environment through collaboration, capacity building, advocacy and research. Collaboration: Facilitate cooperation between, and coordination of, actions by Member Councils and coastal stakeholders. Capacity Building: Develop and exchange knowledge and tools to support the role and build the capacity of Member Councils. Research: Identify and address current and emerging regional coastal issues. In March 2018, following months of consultation with our Member Councils, the SCCG Business Plan was adopted. The Business Plan focuses on three primary themes: Catchment Management, Pollution Reduction, and Legislative and Policy Reforms. Our Strategic Plan was prepared to document and highlight our strategic focus for the four year period from July 2015 – June 2019. The Strategic Plan of the SCCG builds upon our 25 years’ experience leading sustainable coastal and estuarine management. The Plan is a dynamic strategy that is evaluated annually and comprehensively reviewed every 4 years. The Constitution is a requirement of an Incorporated Association. The SCCG Constitution sets out important details of the Sydney Coastal Councils Group, and how the Group functions; including but not limited to, its mission and goals; membership representation from Member Councils; details for determining the chairperson and vice chairs; meeting arrangements including voting; termination of membership; termination of the Group and declaration of pecuniary interests, and resolution of internal disputes. This Statement of Business Ethics applies to Sydney Coastal Councils Group (SCCG) Member Councils representatives, staff, contractors and business associates dealing with Sydney Coastal Councils Group. The SCCG is committed to conducting its business in a sound commercial and ethical manner and this Statement of Business Ethics sets out the standards the SCCG requires of its Member Council representatives, staff, contractors and business associates. Both SCCG staff and private sector employees must always be aware of the ethical standards its Member Councils demand when SCCG money is used either directly or indirectly. The SCCG will demonstrate and practice a professional and ethical approach to all its business activities and all SCCG staff are required to observe a high standard of probity, ethical behaviour and integrity in their business dealings. All individuals and organisations that deal with the SCCG are required to comply with these standards of ethical behaviour in their dealings with SCCG. The Document entitled ‘Regional Collaboration in Action’ provides an overview of the Sydney Coastal Councils Group, including its history, strategic direction, key activities, and the value and benefits of membership based on the four goals of Collaboration, Capacity building, Advocacy and Research. For a copy of our current and previous Annual Reports, please click on the links below.